2 Year Bloggersary – 2 Giveaway announcements! May 24, 2018 May 25, 2018 Categories beauty, Lifestyle1 Comment on 2 Year Bloggersary – 2 Giveaway announcements! We recently crossed our two-year mark blogging, it’s been an amazing time for us, personally and professionally we learned and grew in many ways…and it’s many thanks to our blog and you lovely people who support us. 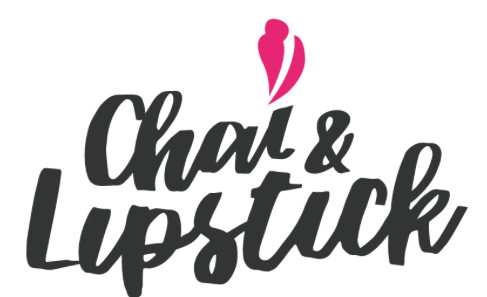 Chai & Lipstick is a blog run by 4 sisters, it’s not always been easy to coordinate and manage the blog as we all live in different cities – Goa, Chennai (India), Paris, London. (Read more about ushere and here.) We have found ways to communicate and bond and to work together without letting the distance come in our way! We moved slowly but steadily and that’s how we crossed the two-year mark. To celebrate our anniversary and soon to reach -10k on Instagram, we are having not one but 2 worldwide giveaways! We are giving away our favorite perfumes to celebrate our blogging journey! 4 Marc Jacobs Travel size perfumes – to represent the blogging journey of us, four sisters, we are giving away four amazing perfumes. Tag 3 friends on this post. Winners to be announced on the 28th of June. We are super excited – Herbowski is doing an amazing giveaway to celebrate this moment with us! Herbowski is a London based company that develops an elaborate range of infused oils. Infused, or macerated oils are carrier oils that have been used as a solvent to extract medicinal, therapeutic and aromatic properties, impart rich colors and beautiful fragrances of herbs, plants, and flowers. A process of double or triple maceration is applied by Herbowski to extract more beneficial properties into the base oil, a process extraction by molecular diffusion that can take months. Herbowski oils are handcrafted in-house using only certified organic & wildcrafted ingredients. Herb Infused Oils are valued to support healthy skin and hair and are very efficient in curing acne, bruises, eczema, growing pains, muscle pain, nerve pain, neck tension, scaly and cracked skin, scars, sciatica, scrapes, shingles, sprains, stretch marks, tension headaches, wound healings, dandruff and yes there’s more! These are gentle enough for everyday use, free from safety concerns found with essential oils. You can use herbal oils in pure form, as a powerful aromatherapy base, in massage & body oil blends, add to shampoos and conditioners, and in your DIP beauty recipes. Herbowski is an eco-friendly brand that uses aluminum bottles for packaging as it is the most recycled material in the world. They use mailers made from kraft paper with recycled paper padding. You can find 9 oils in their current collection Organic Calendula, Organic Lavender, Organic Horsetail, Organic Nettle Leaf, Organic Arnica, Organic St John’s Wort, Organic Cayenne Pepper, Organic Marshmallow Root and Wildcrafted Linden Blossom Oils. One lucky winner will 3 amazing Herb-infused oils from HERBOWSKI! + Skin dryness or chapping – Calendula Oil is a great moisturiser for dry skin and for severely chapped or split skin, it helps soothe the area and reduce the pain. + Inflammation – It works well on sprained muscles or bruises; its anti-inflammatory action helps lessen swelling from injury. Calendula Oil also helps treat varicose veins, leg ulcers and chilblains. + Baby care – Calendula Oil helps to relieve diaper rashes, which can extremely irritate an infant. + Minor cuts and wounds – The antiseptic and antimicrobial action of this herbal oil help speed up healing of wounds and minor cuts, and also help relieve insect bites, acne and bed sores. + Skin issues – Eczema, psoriasis, dermatitis and other skin problems can be soothed using Calendula Oil. Organic Lavender Oil aroma is one of a kind and cannot be mistaken for anything else. The most versatile oil of all has a beautiful rich green color. Health benefits for the skin can be attributed to its antiseptic, anti-fungal, calming and relaxing properties. + Skin Care – Lavender Oil treats acne, wrinkles, soothes psoriasis and other inflammatory conditions. It is commonly used to speed up the healing process of wounds, cuts, burns, and sunburns as it improves the formation of scar tissues. + Bug Repellent; effective on lice, lice eggs, and nits. + Calming and relaxing aroma can help to get a good night sleep. Organic Horsetail Oil has been extracted from a Horsetail Plant – a unique and rare plant that absorbs from earth silica, other valuable minerals, and nutrients. This Horsetail Oil has antioxidant and anti-inflammatory properties that are powerful agents for skin care. + Skin Care – Horsetail Oil helps to heal cuts and wounds, treats rashes and hemorrhoids. Using Horsetail Oil can reduce the redness of boils and acne, soothe eczema and psoriasis, treat burns and prevent premature aging. + Hair Care – Horsetail Oil helps to reduce hair loss, strengthens hair follicles, treats frizzy or dry hair, helps to make the hair silky and soft, fights dandruff and prevents split ends, promotes new hair growth, treats itchy scalp. + This herbal oil strengthens and promotes nail growth. Winners to be announced on the 1st of June! I wish you all a very good luck friends, thank you again for all your love and support! Have a great week ahead! If you have never done a hair, brow or lash dye before, then you will need a patch test. After consultation, the therapist will choose the correct silicon shield size for your lashes. The thicker the lashes, the bigger the silicon shield. There are 3 stages to this treatment. Timings can vary depending on the thickness of lashes. 8 – 10 weeks. You should be rebooking again in the 6-7 week mark. No water for 24 hours around the lash area. No gym, sauna or staying in sun for too long for 24 hours. No makeup for 24 hours around the area.Thereafter it’s fine but just use non-oil based makeup remover. The makeup remover recommended by our lash artist Prital is the Simple Makeup Remover available in Boots or any drugstore in London. Brush your lashes in the morning with a disposable mascara wand for up to 1 week. I didn’t have any preparations for the consultation. I never tried eyelash extensions, I had no idea what I was in for…I am happy to say I am very pleasantly surprised with the result. The pic below was taken after the treatment. I love waking up to my beautiful lashes. My trip to Malta was a great time to put my new lashes to the test, my lashes withstood the heat and are still curled up in place and intact! Check out the pic below, my lashes 15 days after the treatment (no mascara). I would recommend this treatment for anyone who is looking for a boost to their natural lashes, unlike lash extensions which result in thinning of your natural lashes this is definitely a better option to put your own lashes in the limelight. The most important is to get the treatment done by a lash artist who you can trust. If you are in London I highly recommend Prital Brow and Lash Artist, she is a true professional in her field, passionate about her work and offers great customer service. For a booking, call Prital at 07850 495 564 follow her work on Facebook and on Instagram. I hope you enjoyed reading this, if you have already tried an eyelash lift please let me know your thoughts about it in comments. Catch you guys soon with more beauty talk! Have a great weekend! Super Easy DIY Belly (Anti Stretch Marks) Butter. February 18, 2018 March 16, 2018 Categories beauty, mommy life9 Comments on Super Easy DIY Belly (Anti Stretch Marks) Butter. For those of you who missed our recent Insta Story announcement , I am super excited to announce to you guys that I am pregnant .. yaaayyyyy! I am sorry to have been missing in action for these three months, I had a really hard first trimester, I will talk about it in another post. I am back, and this time with a DIY Stretch marks cream – which is great for women during their pregnancy, and for anyone who is looking for a super rich cream for dry skin. As always its a super simple and super easy to make DIY! Continue reading ➞ Super Easy DIY Belly (Anti Stretch Marks) Butter. February 17, 2018 Categories beautyLeave a Comment on New products I’m LUSHing over! This is my first experience with LUSH products and I am really happy to share it with you guys. In today’s article, I will tell you about my experience with two products I have been trying for a while. Continue reading ➞ New products I’m LUSHing over!